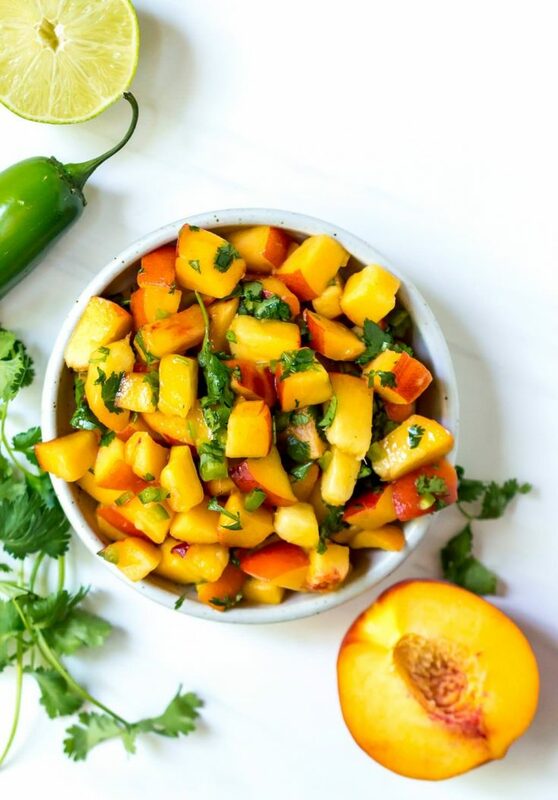 If you want to taste Summer, make this Peach Salsa Recipe. Fresh, ripe peaches are the star of this homemade salsa and tastes great on chicken, fish, tacos or with chips! 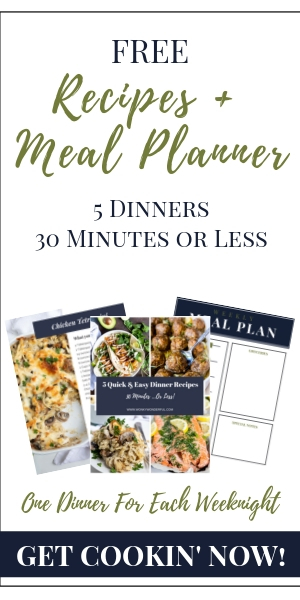 This recipe is Whole30 and Paleo compliant, Gluten Free, Dairy Free and Vegan. Biting into a ripe peach and having the juices dribble down your chin is what summer is all about. It’s one of those things that is reminiscent of summertime. While I don’t have any peach trees on my property. I am lucky enough to have several fruits stands in my area. And I take full advantage of them. Gorging on fresh summer fruit to an almost embarrassing degree. How should you serve this salsa? 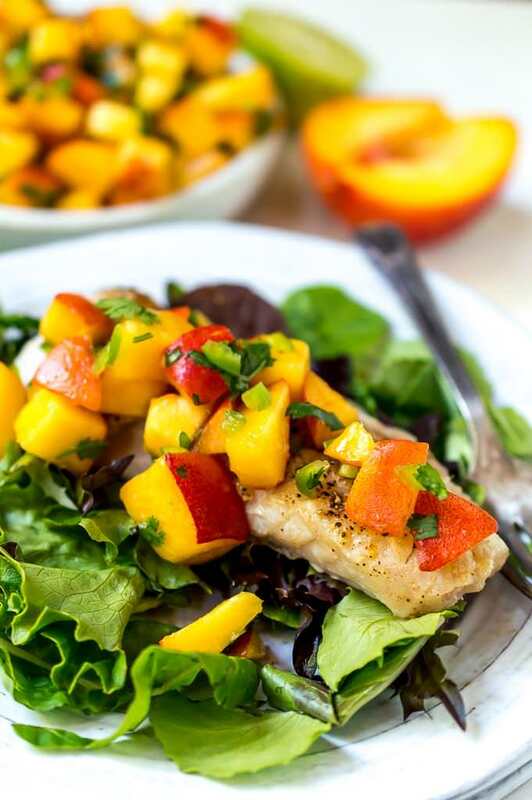 I topped broiled Rock Fish with this salsa and it was out of this world! 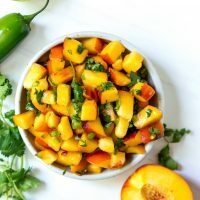 This peach salsa will taste great with just about any fish, on grilled chicken, tacos or just eat with chips. I love the whole salty sweet combo! How long does this salsa last in the refrigerator? 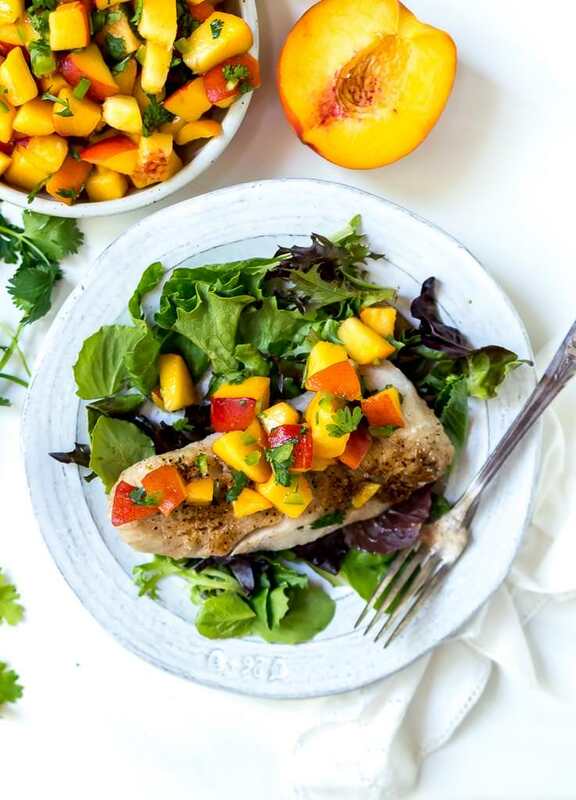 The peaches begin to get juicy so the sooner you eat it the better. I wouldn’t recommend making this the day before you plan on eating it. The taste will be great but it will get liquidy. Usually I would recommend parsley. But, I just don’t think peaches and parsley would make a great match. You can omit the cilantro if you despise it. Optional add-ins: finely chopped red onion, chopped tomatoes, chopped avocado or chopped bell peppers. 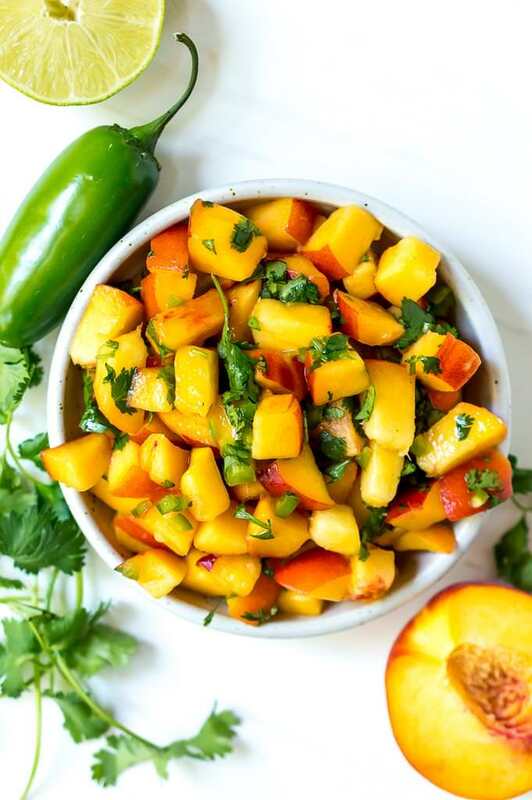 The perfect summer salsa – Pinned!